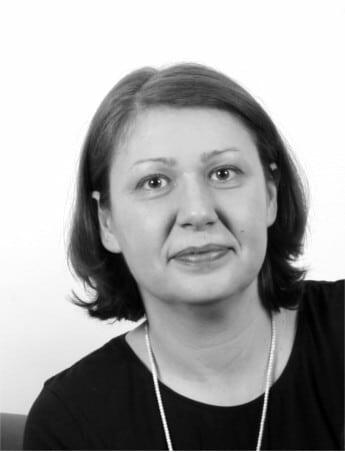 Vesna Jaksic is civil engineer specialised in design, testing and monitoring of structures. Vesna graduated and obtained MSc in structural engineering at the Faculty of Civil Engineering, University of Belgrade, Serbia. She obtained MSc and PhD at the Department of Civil and Environmental Engineering, UCC, Ireland. She worked in both civil engineering industry and academia sectors. Working as a project engineer she contributed to over 45 different structural projects in a range of different industries. Vesna was awarded Teagasc Walsh (The Irish Agriculture and Food Development Authority) Fellowship (2002 – 2004), IRCSET (Irish Research Council for Science, Engineering, and Technology) PhD scholarship (2010 – 2013), and SFI (Science Foundation Ireland) Advance Award (2014-2016). During her research career, Vesna contributed to numerous projects, such as CELTICFLUX (funded by Irish EPA), FORESTSOILC (funded by COFORD and STRIVE), LEANWIND (EU FP7), MARINCOMP (EU FP7 Marie Curie IAPP programme), FloTEC (EU H2020) and various industry collaboration projects. Currently, she is a lecturer in Civil, Structural and Environmental Department at CIT and a researcher in MaREI, where she is involved in Urban Development COST Action TU1406 and ReNu2Farm Interreg North-West Europe project. She is also a Visiting Professor at the College of Science and Engineering, University of Edinburgh, UK. Further information on Vesna’s activities can be found on her UCC Research Profile. She is also available on LinkedIn, Research Gate, ORCID, Google Scholar, Publons and Academia.edu.